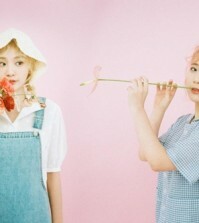 After a nearly one-year hiatus, female indie K-pop duo Bolbbalgan4, also known simply as BOL4, on Tuesday dropped a new album comprising five ear-tickling tracks to match the blooming spring season. Composed and written by the band’s vocalist, Ahn Ji-young, “Bom” features the heart-fluttering feelings of the spring season and adolescent love. Acoustic guitar and string sounds combine with the song’s throbbing lyrics and Ahn’s ringing voice to elevate the spring mood of the track. “Stars over Me” and “Mermaid” were also created by the vocalist. The first track, “Picnic,” is the only one of the five tracks written by the pair’s guitarist, Woo Ji-yoon. It is a revised version of an earlier song by the band that was used in a TV commercial. The former high school classmates became an instant sensation after releasing their first full-length album, “Red Planet,” in 2016. Several of their songs, including last year’s “Travel,” have topped local music charts. 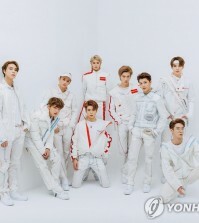 “In fact, that was one of the concerns and questions many people posed every time we came up with an album,” Ahn said. Bringing the new mood-elevating album to the spring pop scene, the duo also plans to hold two days of solo concerts on May 4 and 5 at Blue Square in central Seoul.